Monsters from the seas and a quest for adventure in the first adventure for Silas Morlader. Twilight, a world overshadowed by a vast gas giant, bathing the earth in its otherworldly glow. A world of magic and warriors, zealots and monsters. It is here that the human race cling to a small peninsula, ignorant of what lies beyond the World's Ridge mountains. But there are those amongst this fledgling race with truly extraordinary powers, heroes who would delve deep into the mysteries of the past and bring new light to Twilight. 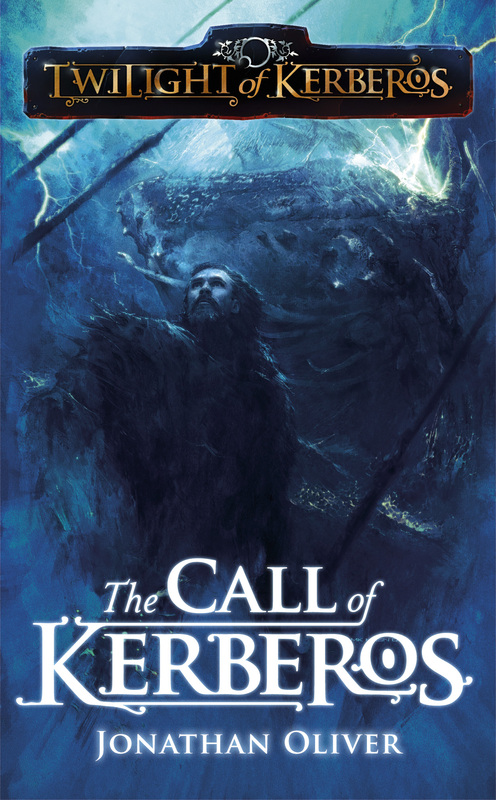 Twilight of Kerberos is a sword and sorcery series, following the adventures of a group of characters with unique talents. The world changes for Silus - a simple fisherman from Nurn - when a man on the run from the Final Faith tries to persuade him on an extraordinary voyage. Then an ancient evil bursts from the sea and tries to claim Silus as one of their own. To discover the truth about his legacy Silus must take to the forbidding Twilight seas. There, the truth will forever change his world and threaten existence itself! Jonathan Oliver is the multi-award winning editor of the anthologies The End of the Line, Magic, House of Fear, End of the Road and Dangerous Games. He is the editor in chief at Rebellion publishing.